It's gorgeous! I really love the polka dots! You already have pink flowers blooming on your trees?!!! You lucky girl! So pretty. Another pretty and welcoming porch Christine! Hurry spring! It looks beautiful especially to someone like me with snow and ice around the porch. Your porch is so pretty, Christine! I can't tell you how much I'm looking forward to SPRING! Bring it on!!!!! 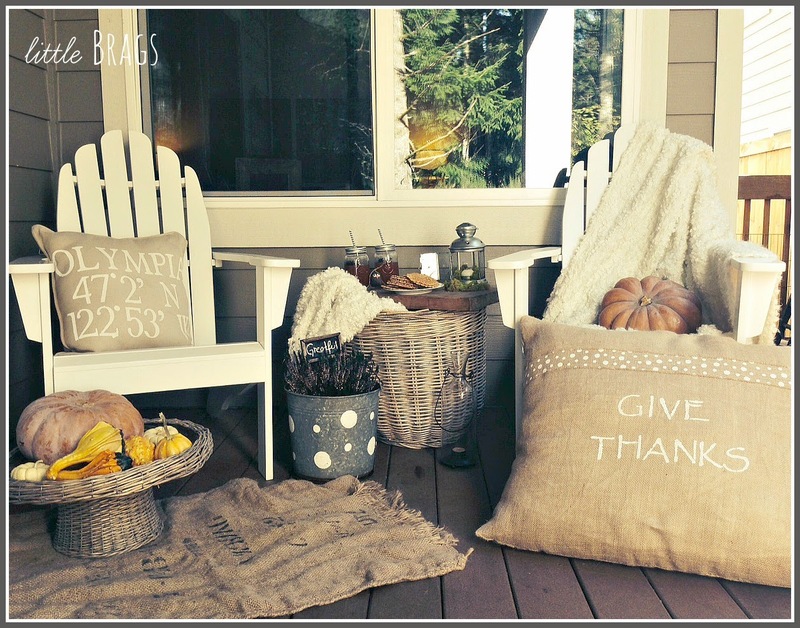 Love all your sweet touches on this porch. Love that bench oh la la that is fabulous. So pretty. We are still getting snow here in Chicago land so no sweet Spring porch for us yet. Loved seeing yours. Gives me hope! Have a great start to the new week ahead. Lovely porch, pink blossoms too! 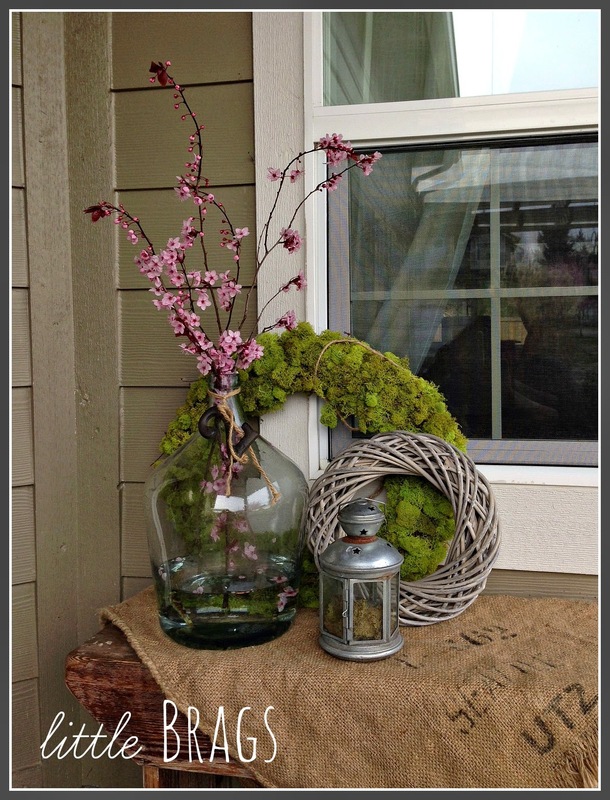 The moss covered wreath, the pillow and that polkadot pail, love this whole arrangement on your porch!!! This is really beautiful! Love every thing that you have done - great job! Thank you for sharing this with us on VMG's Brag About It link party! I love it. I can't wait for spring too. 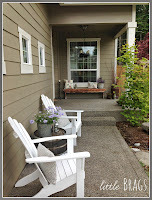 Thanks for sharing your lovely porch with us at Wake Up Wednesday Linky Party. Beautiful! So cozy and inviting too, makes me wish spring were here NOW! What a happy spring porch you have. The minute I took out the forsythia wreath our snow started coming down and it won't stop! Aaack! It's lovely! I can't wait until we have spring...we got more snow this weekend. Your porch is so cute!!! It makes me anxious for warmer weather here, so I can decorate mine and enjoy it! Hello, visiting from Vintage Inspiration. 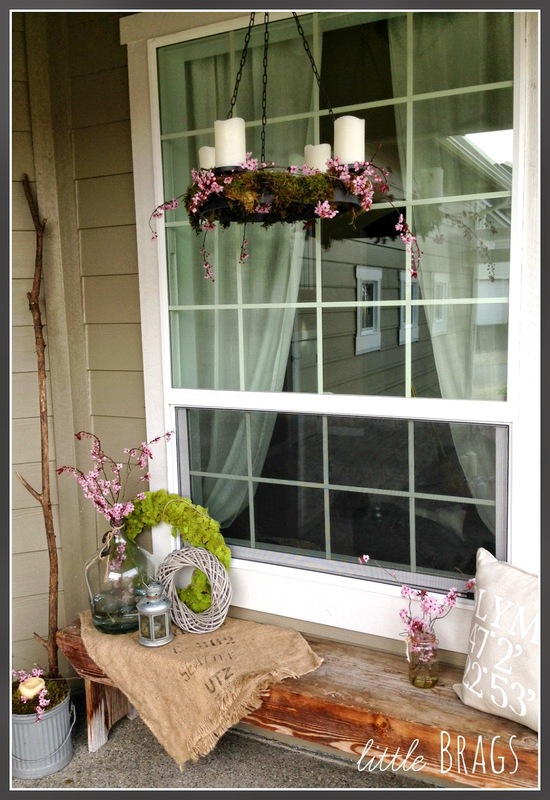 Very cute Spring porch, love it all but especially like that chandy! It's darling! Warm and inviting....love the chandelier....and it all goes together so well! 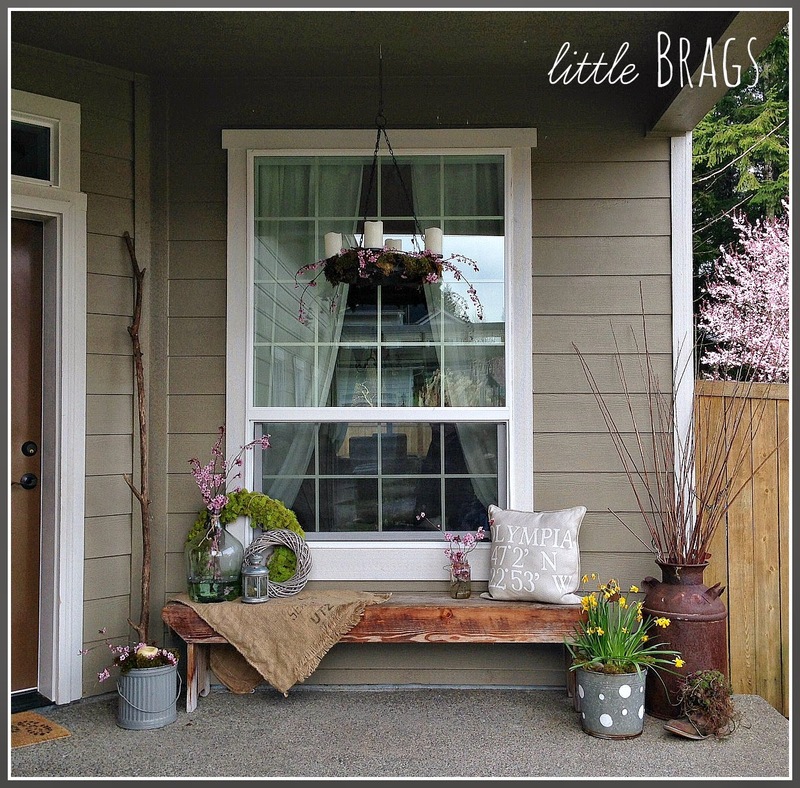 Cute spring front porch! I can't find my porch with all the snow on it! Stopping by from Jann's. Christine your porch looks perfect! Mine is still naked waiting for some love. Thank you for joining THT! Love! This is so pretty! Thank you for sharing on the Wake Up Wednesday link party! I hope you can join again next week! I love this! That candleabra light fixture with the Spring clippings is to-die-for!! I wish I had such a nice porch to enjoy! Thank you so much for stopping by and linking up with me! 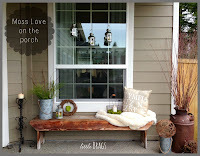 Love the porch and must say that I am crushing over the wonderful bench!! 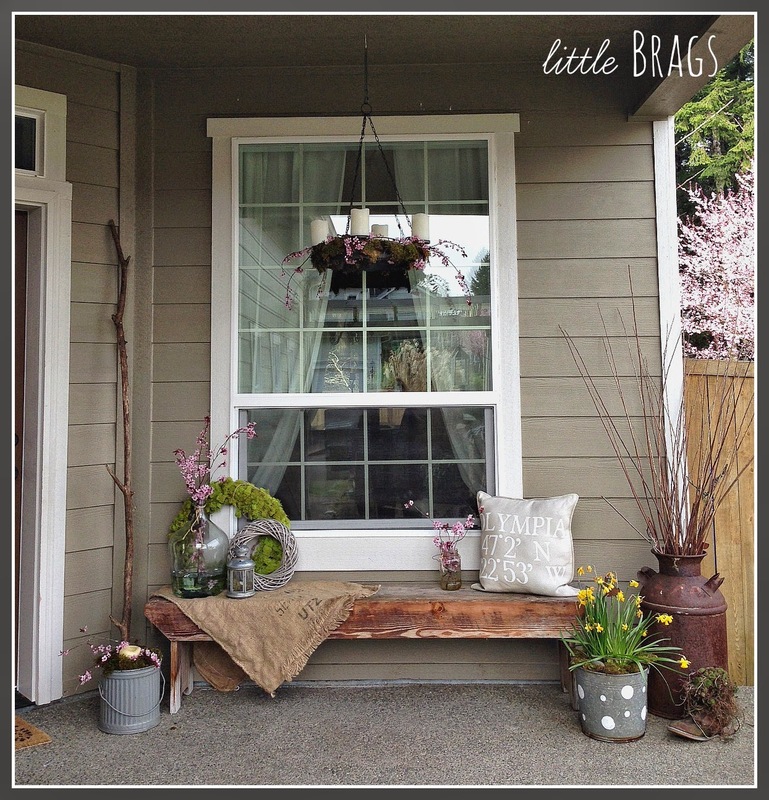 I love your porch bench and all the pretty spring and vintage touches. Thank you for sharing at Vintage Inspiration Party. Christine you always know the perfect combination of touches for each season. I love the "ole boot" such a cute idea!!! Pinned today to our Friday Feature Board!! Thanks for stopping by,Have a great weekend! Christine...your Spring porch is beautiful! I love the light color and vibtage elements...great job! Christine, I love the use of the natural items! Can't wait until I have blossoms to play with! What a warm Spring welcome! Thanks for sharing with SYC. It's so nice to see some springy things! 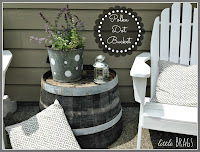 Love your porch! Thanks for linking up at Best of the Weekend! I'm quite sure the inside of your house is gorgeous, but I think I'd spend all my time out on your porch! So beautiful and inviting! Love it! Thanks for sharing at my Creative Ways Link Party! Pinned! Have a fabulous weekend! Too cute! I know you will enjoy many hours on your lovely porch! This is my first time to your blog having found you on Treasure Hunt Thursday. I will be back! 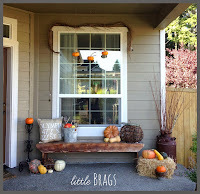 Love your front porch! It's so inviting! What a beautiful porch....I wish I had one that looked this pretty! Have a great day and thanks so much for linking with me! That's to nice to be outside! I'd want that inside so I could enjoy it all day long! Nice work! Making me long for the arrival of spring even more. Great job. 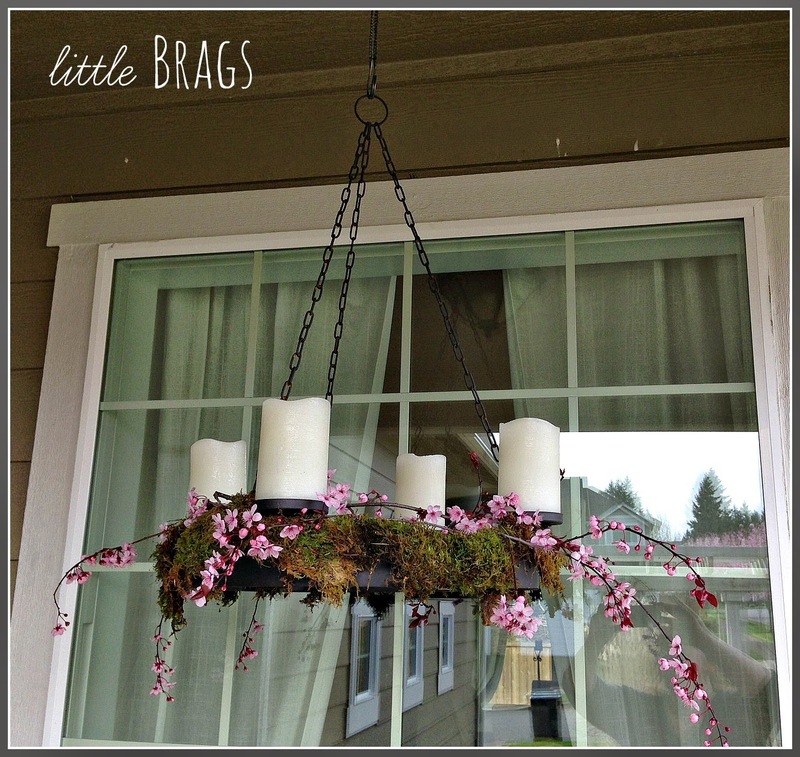 Love the spring touches in your porch! Thank you for sharing on Show Me Saturday! You've done it again, my friend! Another awesome porch - I just love it! I'm featuring this post at the Talented Tuesdays Link Party tomorrow, I hope you'll stop back by! Have a great evening! You are totally motivating me to get my porch spring ready, too! Thanks for the inspiration! And thanks, also, for linking up at The Creative Circle! I hope you'll join us for the party again this Thursday - I can't wait to see what you'll have to share! hi Christine- this looks great! It's a Friday favorites feature! Thanks for linking up! laura Party goes live Thursday night! Hi Christine, just hopping back to let you know that I will be featuring you at SYC this week. You are such a talented decorator! Thanks for sharing this at Totally Terrific Tuesday! I love having you there!! Pinned and shared! This is so cute! I love all of the details in this! You know how to layer a area so well, it does not look cluttered but just perfectly decorated! Beautiful! 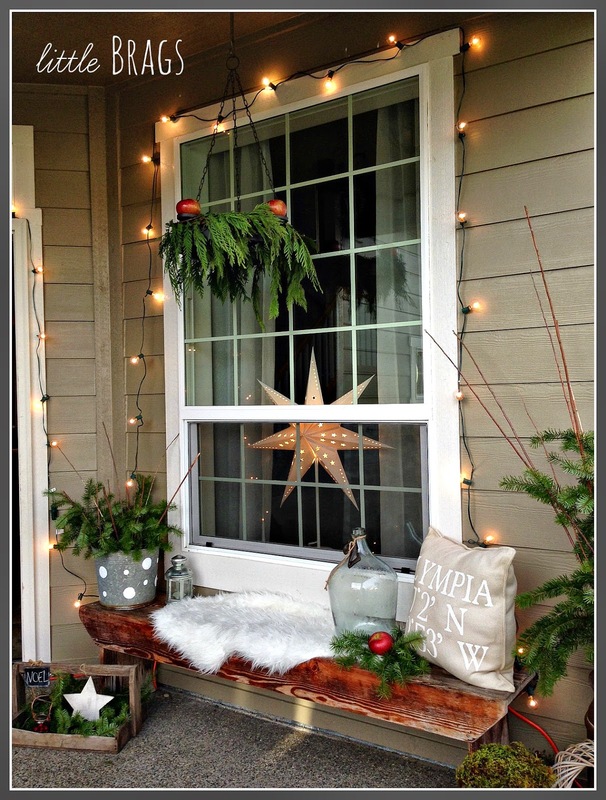 Beautiful decorating of your porch and what a welcoming look to your house. Thank you for sharing with the Clever Chicks Blog Hop! I hope you’ll join us again next week! This is so gorgeous! I am featuring it on Motivational Monday tonight!! So pretty, Christine! I love that bench. Christine, your porch is seriously so DARLING!!!! I love the rustic & whimsical feel & that chandy ahhhhh LOVE IT!! Happy weekend friend!!! your porch looks beautiful! i love the fresh blooms! I love it all, Christine! 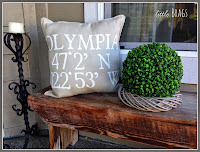 What a great way to add a touch of Spring to your porch with the fresh elements you already have! My Garden Furniture is getting a little out-dated for my taste and your pictures have given me great ideas for new Outdoor furniture! I absolutely love the white furniture and will probably end up getting that color next!